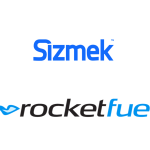 Sizmek (NASDAQ:SZMK), the open ad management company for multiscreen campaigns, today announced two enhancements for StrikeAd, the mobile-first programmatic media solution for global brands and trading desks, as part of its self-service SaaS offering. Ad buyers can now access hyperlocal and contextual video ad targeting capabilities on StrikeAd’s mobile first demand-side platform (DSP). Now ad buyers are empowered to target audiences with industry-leading accuracy, both by physical location and relevance. Through StrikeAd, marketers are able to accurately target users based on their locations, so ads are delivered to consumers at precisely the right moment. The contextual targeting is enabled through the DSP’s recent integration with Peer39, which grants access to its proprietary page-and app-level intelligence to ensure media buyers are delivering brand-safe, strategically impactful placements. StrikeAd also announced a partnership with Dailymotion Exchange (DMX), the private video exchange of Dailymotion, one of the largest video platforms in the world with more than 3.5bn videos views per month*. By joining DMX’s roster of DSP partners, StrikeAd by Sizmek enables its users to access the premium instream video inventory on Dailymotion Exchange, and target the ads filling that inventory using Sizmek’s geotargeting and Peer39′s brand safety filters. StrikeAd’s new advanced video targeting capabilities provide brand marketers the ability to execute their targeted mobile video ad buys from a single platform and without the need to manage multiple DSPs, using RTB and Private Marketplace Deals, for both mobile web and in-app inventory, including DMX. Dailymotion Advertising is the saleshouse of Dailymotion, one of the biggest video platforms in the world with 3.5 billion videos viewed* and 300 million unique viewers* across devices each month, including 140 million unique viewers per month on desktop**. As a pioneer in digital advertising since 2007, Dailymotion Advertising connects brands to the international audience of Dailymotion thanks to a powerful multi-screen offer, highly granular targeting options, and a premium and secure environment for advertisers. Dailymotion Advertising enables marketers and media agencies from all over the world to build their media campaigns in real-time through its private video ad-exchange, Dailymotion Exchange (DMX). Dailymotion Advertising in based in New York, Paris (France), and Singapore and has partners in local major saleshouses across more than 15 countries worldwide.